Born in Milan in 1958, she graduated from the Istituto Statale d’Arte in Monza and the Civica Scuola d’Arte Drammatica del Piccolo Teatro in Milan. Having decided to devote herself principally to vocal study and teaching, she spent four years undergoing thorough training at the Roy Hart Theatre. Subsequently she became an assistant of Iva Formigoni in her vocal lessons to actors at the school of the Piccolo Teatro, a collaboration she continues to this day. She has studied various styles and methods of singing, completing the entire Alfred Tomatis audio vocal course, Voicecraft courses and two levels under Kristine Linklater. She has studied movement with Margreet Hanneman, Dominique Dupuy and several teachers of the Feldenkrais Method. She has taught voice and theatrical expression for seventeen years at the Scuola di Animazione Pedagogica and the course for Professional Educators of the Scuole Civiche Milanesi. She taught voice to actors at the Scuola per Attori del Teatro Stabile of Torino for seven years until 2000. 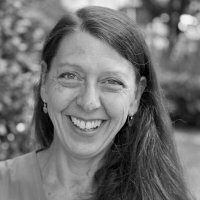 For twenty years she has taught voice training and expression at the Scuola Teatro Dimitri in Locarno in the Canton of Ticino, now the Scuola Universitaria Professionale. For twelve years she has taught voice training at the Scuola del Piccolo Teatro of Milan.